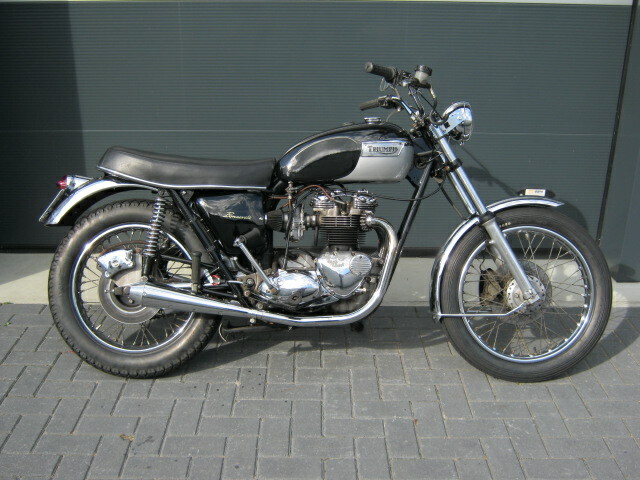 Triumph T140 Bonny, in reasonable condition, runs and rides well, but is not all original. A.o. covers of engine are chromed, megaton exhausts are fitted, and a small headlight and rearlight. Most original parts are with it. Has matching numbers and a Dutch registration.